467. Robertson’s hydrostatic jack. In this the ram is stationary upon a hollow base and the cylinder with claw attached slides upon it. 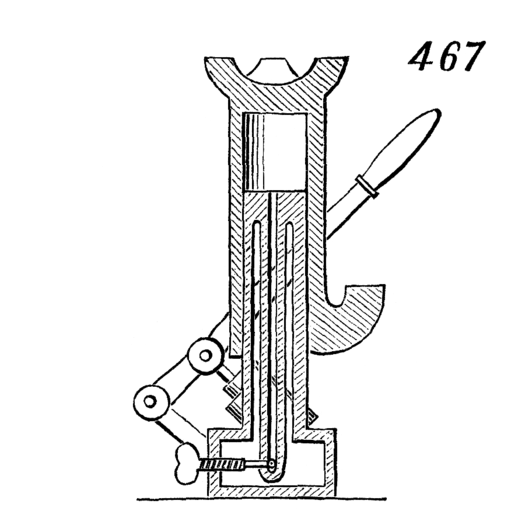 The pump takes the water from the hollow base and forces it through a pipe in the ram into the cylinder, and so raises the latter. At the bottom of pipe there is a valve operated by a thumb-screw to let back the water and lower the load as gradually as may be desired.